They came, They saw, They suffered sensory overload, auditory fatigue, and found themself suffering from mightily sore feet. In the music industry this is where you go to meet people, see the newest products, have a vision of the future, glare at the stars, and obtain industry insider views. In other words, this is the Music Industry show of all shows! Educational Director has called this year's NAMM show "The Year Of The CPS DJ Controller" - Click here and check out many of the new CPS DJ products. We would like to acknowledge and offer a very big THANK YOU to all attendees, sponsors, and supporting vendors of the 2006 4th Annual Computer DJ/VJ/KJ Summit. You are visionaries and pioneers in the building of our foundation. Without your support we could never have accomplished the inspiration of 7 years ago. Congratulations Kazuhiro Onizuka, after a 22 hour flight from Kawasaki, Japan, Kazuhiro has the distinguished title of traveling the longest distance to attend the Summit. This year the C.P.S. Awards presentation started off the 2006 Computer DJ/VJ/KJ Summit in sunny Tampa, Florida. Hosted by C.P.S. Educational Department, the C.P.S. community recognized several individuals in attendance for outstanding industry contributions, industry service, and talent with the prestigious C.P.S. Awards. The presentation was made at the beautiful grounds of Sheraton Suites Tampa prior to the first scheduled seminar of the 2006 DJ Summit, attended by a large number of industry professionals who enthusiastically supported their colleagues in recognition of their success and accomplishments. To read more information about the Awards and Awardees, click here. 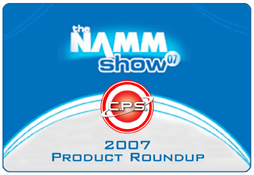 Did you miss the welcome announcements during the 2006 4th Annual CPS DJ Summit? In celebration of the 100th birthday of the Disc Jockey, Gai Marcos, president of TriceraSoft, developer of the Swift Elite software program, had planned, in advance, to sponsor two attendees for the CPS Certification program. Instead, he sponsored the CPS Certification program for ALL attendees of the meeting. With a value of $13,500.00 the scholarship will greatly benefit attending DJs. The value of this per-person investment towards the educational growth of the CPS Community was a tremendous surprise for all attendees.